Download here the latest press releases from HIPPEROS in an editable Word format (by following the links below) and associated images in a high resolution jpeg format (by clicking an image). HIPPEROS was founded in 2014 and is headquartered in Louvain-la-Neuve in Belgium. The company is a spin-out of the prestigious research university Université Libre de Bruxelles (ULB), and specialises in the development of efficient and reliable real-time and embedded high performance computing software solutions. As a European software house, its technology is 100% independent and ITAR-free. Principal products include the HIPPEROS family of configurable, modular and parallel real-time operating systems (RTOS) designed for the next generation of high performance embedded multicore computing platforms. 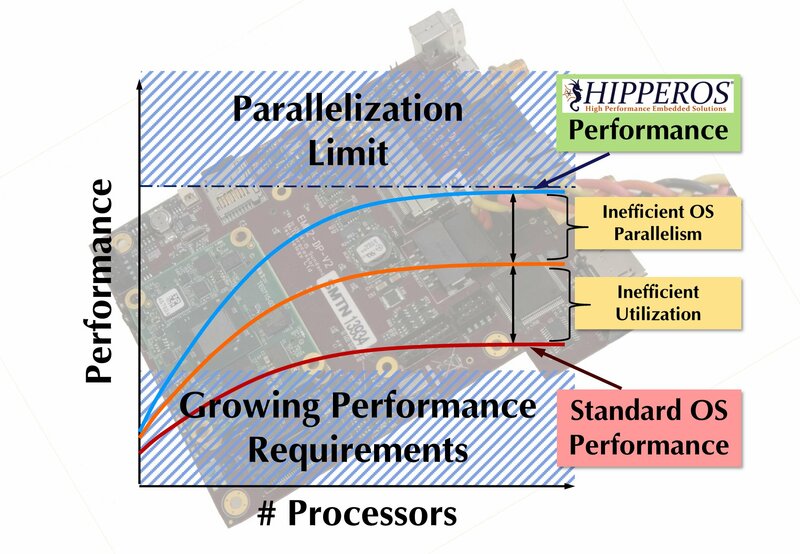 Targeted at safety-critical applications in markets ranging from aerospace, automotive, avionics and defence to robotics, industrial control, medical devices and vision systems, the HIPPEROS RTOS Kernel uses an architecture specifically designed for parallelism, state-of-the-art scheduling and resource sharing algorithms. HIPPEROS is a founding member of the TULIPP (Towards Ubiquitous Low-power Image Processing Platforms) consortium which is funded under the European Union’s Horizon 2020 programme. HIPPEROS also benefits from R&D funding support from the European Space Agency’s Business Incubation Centre for space-related technologies and Belgium’s Wallonia regional government Plan Marshall program regarding DO-178 avionics certification.